This is a simple HTML template but if there is going to be a high interest or demand we are ready to create WordPress version which will be a fully functional template. 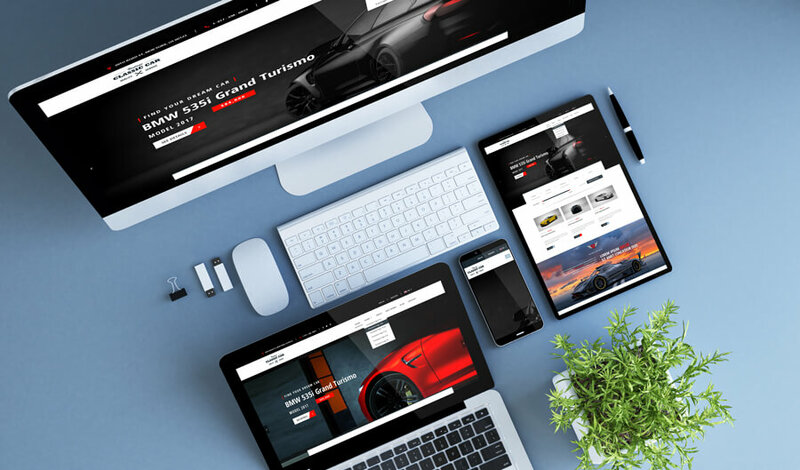 But even though this is simple HTML template it has an ability to be a fully responsive which means that it can be seen from any device, for instance, iPad, iPhone, PC (Mac, Windows) and etc. 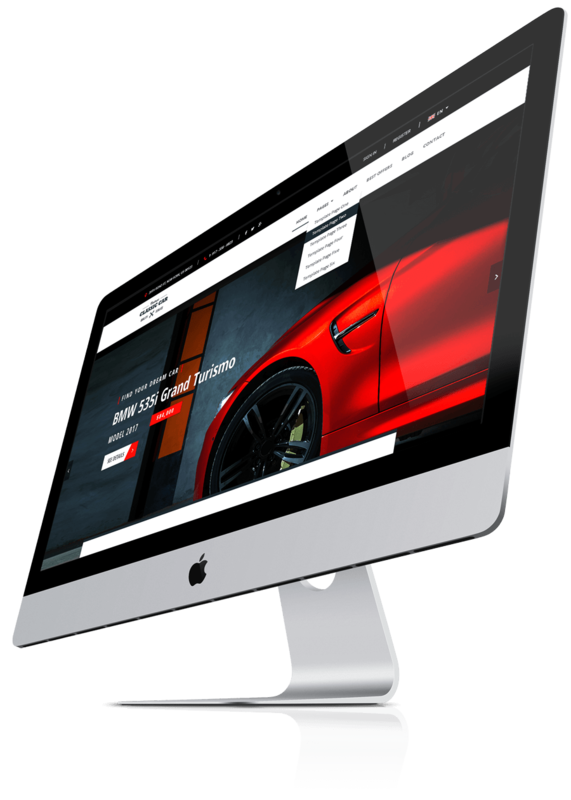 The best part about the fully responsive template is, that it changes design depending on from which device it is opened. The homepage of this template has two versions and it totally depends on customer preferences to choose one that will be used. We try to be as adaptive as possible to customer’s wishes and therefore offer different layout designs for one template. Because we are customer orientated, in the nearest future we will increase the number of versions and offer more than two choices for template design. 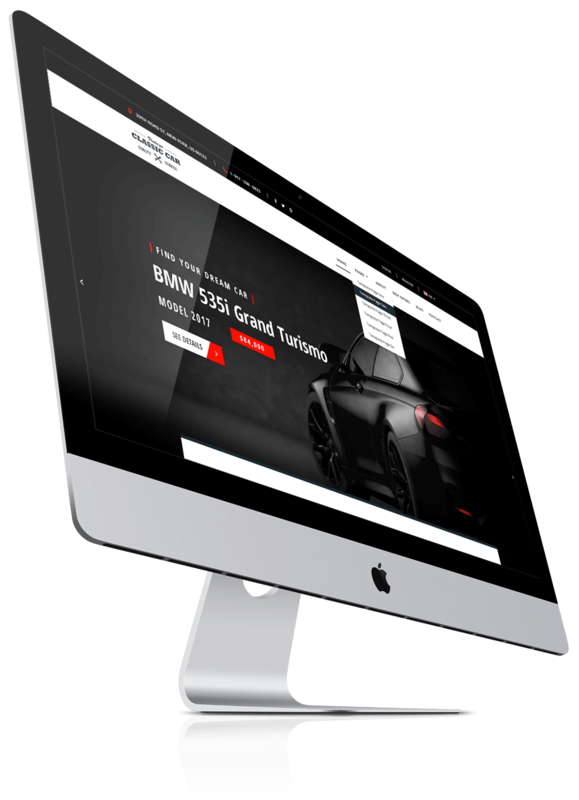 Different page layouts are offered as well when searching for the specific car model. 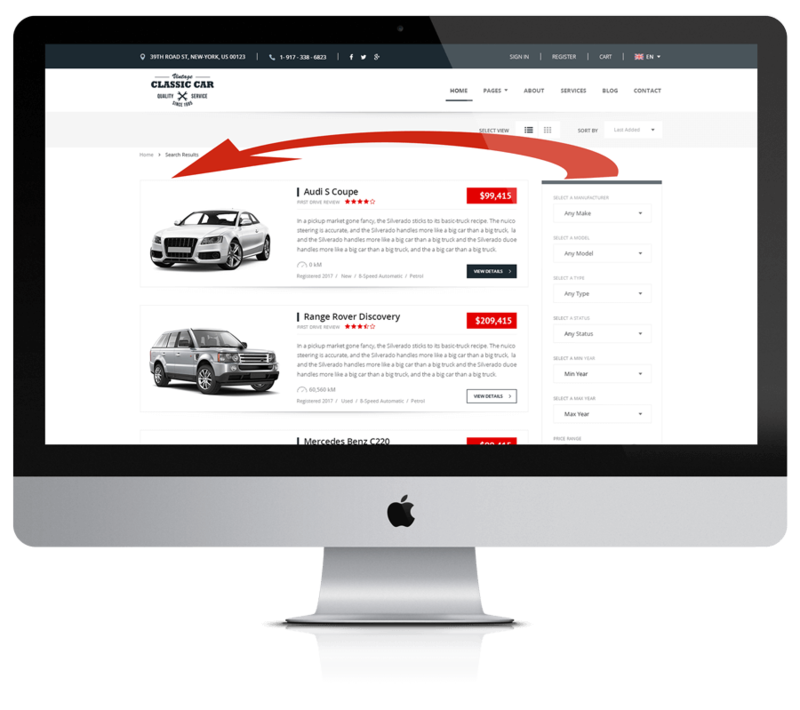 For instance, the sidebar which is the filters for searching the suitable car can be distributed either on the left or on the right, which again totally depends on the customer’s choice. The same goes for specific car description page, again sidebar which in this case car’s owner’s contact information can be either distributed on the left or on the right. In this sidebar, it is also possible to write a message or ask a question and directly send it to the car’s owner. In this sidebar, you can also find the calculator which helps the customer to understand what financing offer he or she is faced with. But this has to be modified by the programmer in order to make it function smoothly and properly. In car overview there is a thorough description of the car and also separately presented feature and options. It will be also possible to show on the map the exact location of the car and some other people’s and dealer’s comment about it. There is also a separate page where can be distributed the best offers from the auto club. This will be distinguished based on, which cars are the most often searched or the ones that are the latest models. If you have any questions regarding this template please do not hesitate to ask. Please leave your question in the comments section above and our team will respond to it immediately. The best thing about our support it that we answer any question with a video tutorial to make your lives easier and working processes smoother. NOTICE: All images are for preview purposes only and are not included in the download file.